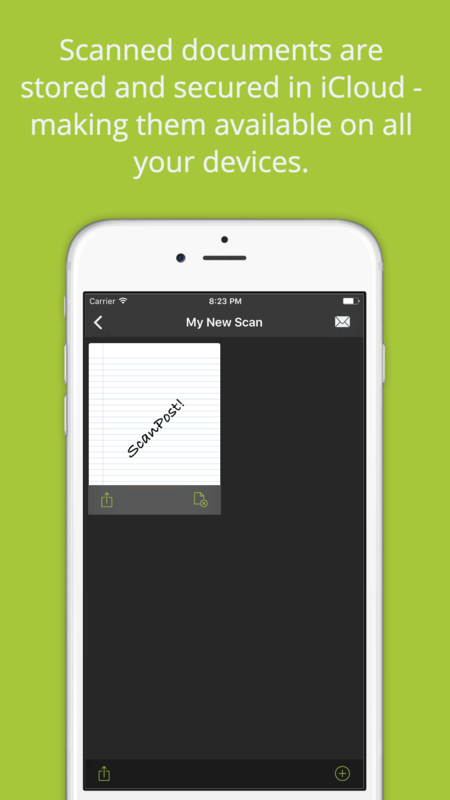 ScanPost lets you can scan, print, and mail documents worldwide - all from your iPhone! Available now for free in the iPhone App Store. No more need to wait in line at the post office! 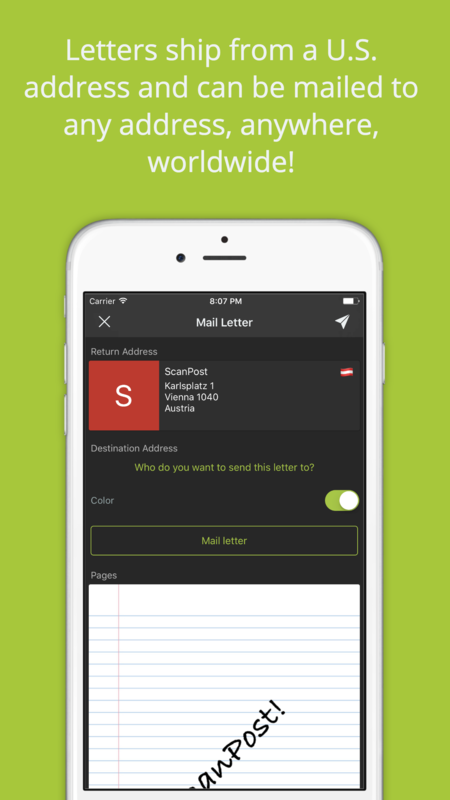 Now you can save yourself the trip and buy postage directly from the app. 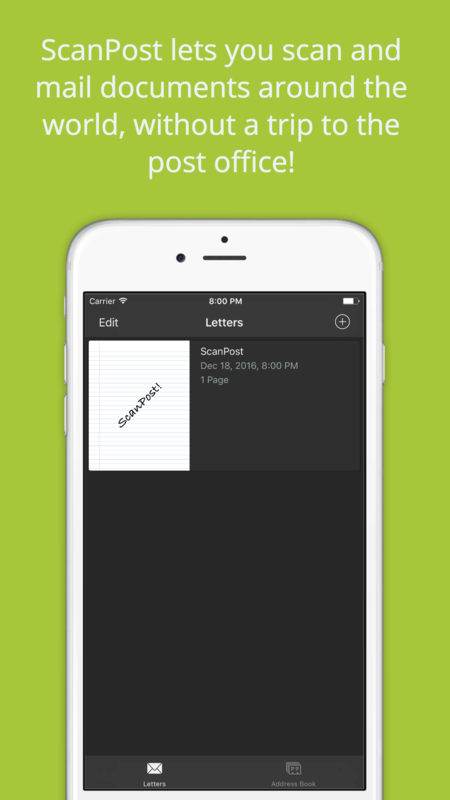 With just a few taps, ScanPost will print and mail your letters to anywhere in the world. Support for Apple Pay, PayPal, Venmo, and major credit/debit cards means you can checkout with confidence. 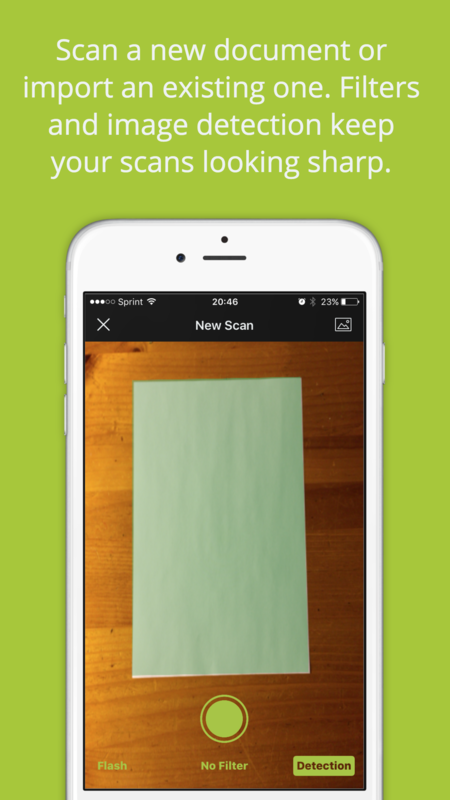 The process is simple - just scan any letter or document using your iPhone's camera. Built-in page detection, image correction and color filters help ensure everything you scan looks great. You can also import photos directly from your camera roll, letting you mail anything, even documents you've scanned with another app. Scanned documents can also be instantly shared with intended recipients via social media, SMS and email.